Difference Between Viscose and Rayon Fabric: Which One is Better? Home » Informational » Difference Between Viscose and Rayon Fabric: Which is Better? Most people are unaware of the difference between viscose and rayon fabric. Some think that there is no difference, and technically they may be correct. In fact, the difference between rayon and viscose can be very puzzling for one simple reason – they are technically the same. The raw material for rayon is cellulose. The two common sources of cellulose in the bedding industry are wood cellulose and bamboo cellulose. Both can be used to create rayon. Viscose is wood cellulose and is used to manufacture rayon as the same way as bamboo cellulose is. Both are rayon, whether made from wood or bamboo cellulose. We shall first look at these sources, and then the benefits each offers to you. Rayon is a manufactured fiber as opposed to a natural fiber. It is made from regenerated cellulose and was originally developed as an alternative to natural silk. The fiber can be used to make soft fabrics, such as those used for sheets, pillow cases, mattress covers, and mattress encasements. A popular source of cellulose for bedding is bamboo. 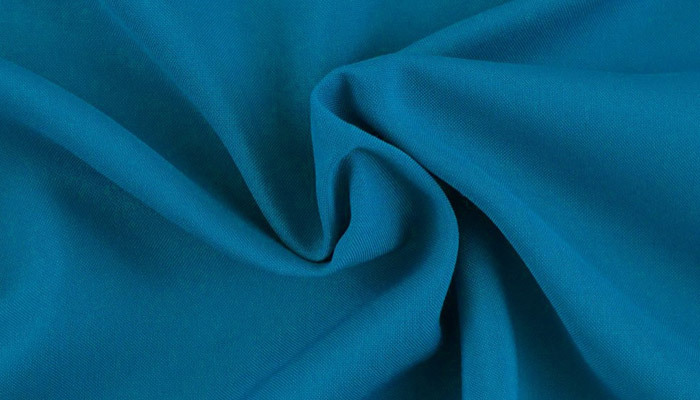 This is a popular raw material for rayon since it is very fast growing. In fact, bamboo is the fastest growing grass species in the world. Some species can grow up to 3 ft in a day, though most are much slower than this. In order to produce rayon, bamboo fibers have to be treated chemically. Because of this, it is not permitted to be described as a ‘natural fiber’ but as ‘Rayon from bamboo.’ So what is the difference between rayon and viscose? Let’s find out. What is viscose if it is not the same as rayon? Is viscose the same as rayon, or is there a viscose rayon as there is a bamboo rayon? The two are, in fact, very similar. Viscose is also a form of cellulose, known as wood cellulose acetate. Just as bamboo cellulose can be used to make rayon, so can viscose (wood) cellulose. One manifestation of viscose is cellulose film, often referred to as cellophane. So, to clarify the one major difference between viscose and rayon fabric, rayon can be made using wood-derived cellulose (viscose) and it can also be manufactured using bamboo-derived cellulose. Rayon is just one use of viscose. There are many other differences between rayon and viscose, of which the following are just a few of the more important ones. Rayon was originally developed in the late 19th century (around 1880) as an alternative material to silk. Silk was very expensive then and rayon was seen as a source of a silk-like fiber that reproduced the soft feel of genuine silk. It appeared to an acceptable inexpensive alternative to silk for a number of uses but was found to possess one major flaw. It was highly flammable. In the late 19th century, when fire safety was not what it is now, this was a very negative property that resulted in it failing to achieve the success expected of it. As a material, viscose rayon drapes really well and breathes just like cotton. It is a popular fiber in the bedding industry, and modern treatments enable it to meet the fireproof regulations of the 21st century. The original form of rayon was wood rayon, created using wood cellulose (correctly known as cellulose acetate). The bamboo fiber was chosen as an alternative source of cellulose because it was believed to be smoother and silkier than wood rayon. Bamboo rayon is referred to as such by the bedding industry where its smoothness makes for a comfortable sleeping surface and helps keep you cool in bed. Some people refer to wood cellulose rayon as being simply ‘viscose’ and to rayon manufactured from bamboo and other types of cellulose as ‘rayon.’ So ‘viscose’ for the original and ‘rayon’ for viscose made using alternatives to wood cellulose as the raw material. The cellulose pulp is forced through tiny holes in what is known as a spinneret. The pulpy filaments this process produces are then coagulated in an acid solution – this is known as the viscose process. The process can be modified in a number of ways to create fibers with differing properties. Among these are hollow fibers, crimped fibers and stronger fibers for more stringent uses. Viscose rayon, made from wood pulp, is often referred to as just ‘rayon’ because it is the most common type of rayon. Where other properties are needed, bamboo fibers are used as the source of cellulose. Many people believe bamboo rayon to be smoother and silkier than viscose rayon. There are other types of rayon available such as acetate rayon and cuprammonium rayon. Many people use the term ‘viscose’ when referring to wood rayon, and to rayon when referring to bamboo cellulose rayon – and to rayon using any raw material other than wood cellulose. Viscose Vs. Rayon – Which is Best? When discussing the properties of viscose and rayon in the bedding industry it is important to understand that the two are extremely similar – in many cases exactly the same! Both have a luxurious silky feel, and both are manufactured using regenerated cellulose. That is cellulose that has undergone a physical or chemical change. Hypoallergenic Properties: What is the difference between viscose rayon (Viscose) and bamboo rayon (Rayon)? To begin with, the bamboo fiber is naturally hypoallergenic, meaning that it is an excellent material for those subject to allergies. It is a bedding material unlikely to cause allergic reactions. Here are some other important differences between viscose and bamboo cellulose rayon. Cooling Properties: Many people prefer bamboo rayon to viscose rayon. That is because of the hypoallergenic properties of bamboo rayon, and its thermal regulation. If you tend to get too hot when sleeping, rayon manufactured from bamboo cellulose helps you remain cooler. The fibers tend to wick away the heat and keep you cool, something that viscose fibers cannot do so well. 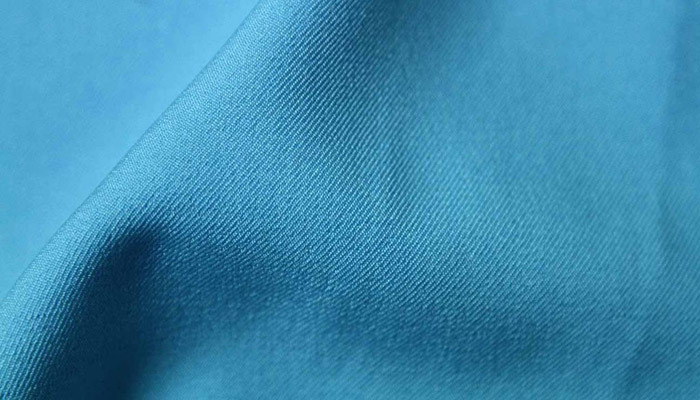 Dye Absorbency: Bamboo rayon is very absorbent to dyes and holds its color well. Viscose rayon can also be dyed, although is not as receptive to dyes as bamboo rayon. There is a small difference between viscose and rayon fabric. Both can be described as rayon, although bamboo rayon and wood pulp viscose display differences in properties. Many people prefer bamboo rayon due to its soft, silky feel and the way it accepts boldly colored dyes.